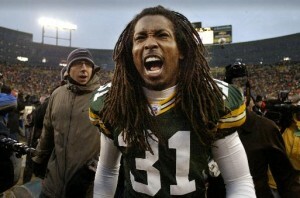 Packers Harris on the Lions’ Bandwagon? He Says They Can Win 8 Games! What does a Lions fan take from this? Is this another sign of improvement in Motown? Is the smell of change blowing south to Wisconsin and overtaking the scent of cheese so much that even the Packer players are taking notice and prepared for an improved, more organized, more competitive Detroit Lions squad? Harris sure seems to think so and he should know, he’s played them twice a season as a full time starter since joining Green Bay in 2003 compiling 34 tackles, 29 of them solo, 17 pass deflections, 2 interceptions, and 1 touch down against the Lions during his time as a Packer. He notched 12 of the 34 tackles, 11 of the 29 solo tackles, and 5 of 17 pass deflections against Detroit last season alone making it the most successful season against the team, a team that went….well let’s not go there. 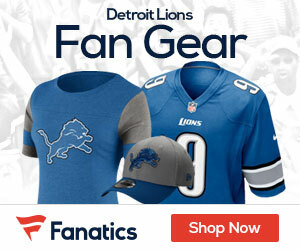 After all….the Lions are moving on from last season and we as fans should too, especially if one of the leaders of a division rival is on the bandwagon! Go Lions! Harris’ contract is good through the 09 season, Lion’s need to make room for him. That actually was a thought I had when I was writing this blog. All depends on the league/players bargaining agreemeant I suppose. Could have major impact on contracts. Thanks for reading and come back for more! Go Lions! Restore The Roar!